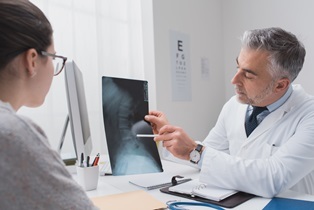 When you are involved in an accident or a loved one is the victim of medical malpractice or abuse, you may not even know the right questions to ask at first. Browse our collection of frequently asked questions to see what others have asked and read our answers to learn all you can about your case. 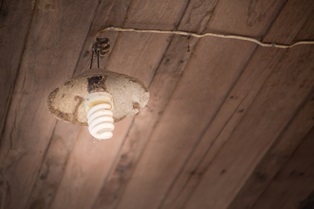 Can inadequate lighting affect a slip and fall claim? A number of factors can contribute to a slip and fall accident, but inadequate lighting is often overlooked as a cause of injuries. If you've been injured in a slip and fall accident and believe that poor lighting may have been a factor, an experienced personal injury attorney can help protect your right to compensation. 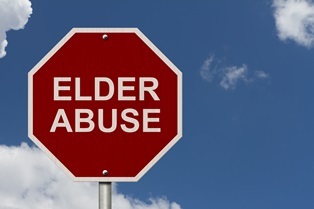 Senior citizens and people with visual impairments are more likely to fall as the result of inadequate lighting, but poor lighting can be a factor in nearly any type of slip and fall accident. Inadequate lighting can contribute to slip and fall accidents in two ways: by making an otherwise safe area hard to navigate or by preventing you from seeing dangerous obstacles in time to avoid injury. In an otherwise safe area, poor lighting can make it difficult to travel from Point A to Point B without injuring yourself. For example, you may misjudge the height of a step or fail to notice a curb in a parking lot due to your inability to clearly see the area. Lighting can also affect how you navigate around potentially dangerous conditions. For example, if there is a pothole in a parking lot or ripped carpeting in an office hallway, poor lighting can prevent you from identifying the obstacle in time to prevent yourself from falling. 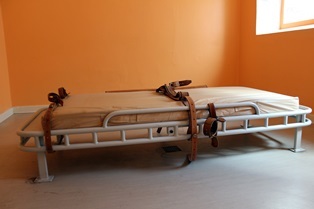 The property owner had a duty to provide reasonably safe conditions. The property owner failed to fulfill this duty. The property owner's actions or lack of action caused your slip and fall accident. You suffered injuries resulting in a financial loss. Comparative negligence refers to the idea that an injured person may be partially responsible for his injuries due to failure to take reasonable safety precautions. For example, consider a scenario where you've rented a room on the third floor of a hotel, and there are two stairwells allowing you to access that floor. If one stairwell has a broken light fixture and a sign is posted stating this fact, the safest course of action would be to use the other set of stairs. When you know of a hazard and fail to take the alternative safer course of action, you can be found partially at fault. However, if you know that the stairwell has a broken light and there is no alternative path for you to take, you would not be found at fault if you were injured because you did not voluntarily assume the risk of injury. Note that you might also be found partially at fault for your injuries if you were running, jumping, or engaging in horseplay at that time of the accident. These actions are considered dangerous even if the lighting in the area is adequate. If you're found partially at fault, your settlement will be proportionally reduced to reflect your own financial responsibility for the damages you've suffered. Slip and fall accident claims can include compensation for medical care, lost wages, and pain and suffering. 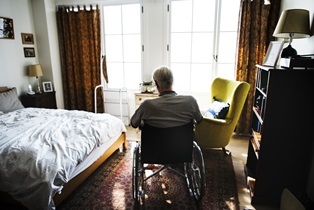 If you've been left with a permanent disability such as a brain injury, anticipated future medical expenses and loss of future earning potential can also be included in your settlement. An experienced personal injury attorney can locate evidence to establish liability for your injuries, document the extent of your damages, and negotiate with the insurance company on your behalf. Having someone to advocate for your interests ensures that you receive a fair and prompt settlement while allowing you to focus on recovering from your injuries. How can I receive compensation for elevator trip and fall accident? 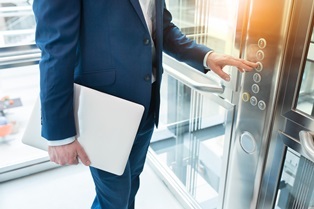 Elevator accidents, although rare, can result in serious or even fatal injuries. If you or someone you love suffered injuries in this type of accident, it's important to understand how to protect your right to compensation. These problems can often be attributed to negligent maintenance of the elevator. In the most severe accidents, fatalities can result. For example, people have died from being pulled into the elevator shaft after getting their legs or arms caught in the elevator door. Children, the elderly, and people with physical impairments are at a higher risk of being injured in elevator accidents, simply because they are more likely to have problems boarding or exiting the cage. A trip and fall claim from an elevator accident is a type of civil action seeking monetary damages. Louisiana law typically gives you one year from the date of the accident to file your claim. You were lawfully in the building. You suffered an elevator accident causing injury. A dangerous condition in the elevator caused your injury. The property owner knew, or should have known, about the dangerous condition. Proving the various elements of your claim will require presenting many different types of evidence. Witness testimony, surveillance video, photos of the accident scene, and copies of your medical records are commonly required. If applicable, building code violations or copies of past safety inspections related to the elevator can also be used to support your claim. If you are determined to be partially at fault for the accident that caused your injury, you can still receive compensation despite your comparative negligence. However, your compensation will be proportionally reduced by your assigned percentage of fault. You were drunk or under the influence. You were running, jumping, or engaged in horseplay. You were texting or engaged in some other distracting activity that kept you from paying attention to your surroundings. You ignored posted warning signs. Your injuries were caused by inappropriate clothing such as high heels or a long skirt that caused you to fall. 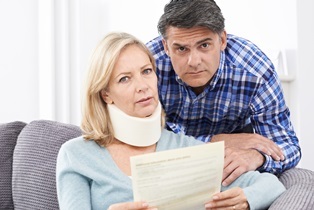 The best way to protect your right to compensation is to work with an experienced attorney to resolve your claim. Your attorney can document your damages, provide evidence to support liability for your injuries, and negotiate on your behalf to reach the highest possible settlement. How can I prove my slip and fall accident was caused by negligent maintenance? 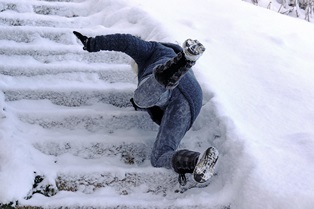 Slip and fall accidents can result in serious injuries, and these accidents are often caused by negligent maintenance. 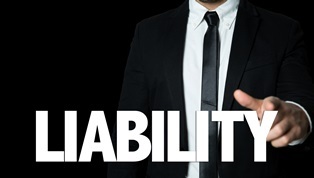 However, you must be able to prove liability for your injuries before you will be awarded compensation. You suffered an injury caused by an accident on the property. A dangerous condition on the property caused your injury. Additionally, you must follow Louisiana's statute of limitations laws. In most cases, you have one year from the time you were injured to file your personal injury claim. Photos taken after your accident can document the condition of the area where you fell. Ideally, you want your photos to be taken from a variety of angles and immediately after your fall. If you wait too long to photograph the scene, the property owner may clean the area and fix the hazard. Someone who witnessed your accident can testify as to what happened before you fell and what the conditions in the area were like. Witnesses can also establish that you weren't partially at fault due to running, engaging in horseplay, ignoring posted warning signs, or taking other actions that show a disregard for your own safety. If you were injured in a building monitored by a video surveillance system, the footage can show precisely how the accident happened. Building code violations may be used to establish negligent maintenance. However, even if there was no building code violation, it’s still possible that negligence occurred. Your clothing from the accident can establish that your injuries weren't caused by inappropriate footwear or tripping on pants or a skirt that was too long. 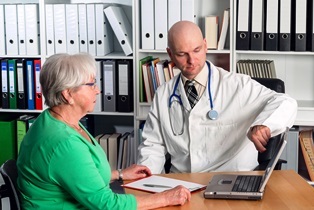 Your medical records document your injuries and establish that your condition is consistent with a fall. Your own journal entries can document how your injuries have affected your life, which may help you negotiate pain and suffering compensation. Evidence becomes more difficult to locate as time passes, so it's important to start the process of filing your claim as soon as possible.